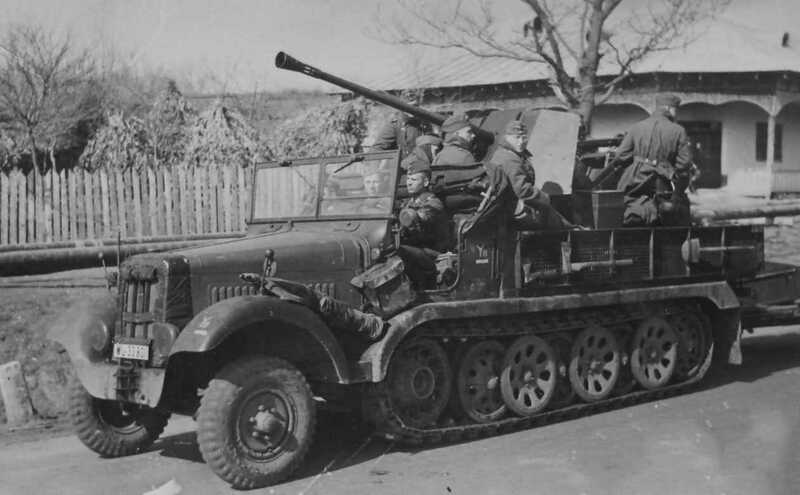 Notes The Sd.Kfz 6/2 was another mobile flak halftrack and this was built of the Sd.Kfz 6. The gun was the 37mm FlaK 36 which was capable of traversing 360° when the side panels were lowered and this also acted as a crew platform. It could also be used in the ground role and like other flak halftracks it came with a trailer to carry extra ammunition. The Sd.Kfz 6/2 issued to Luftwaffe units and saw action on all fronts.